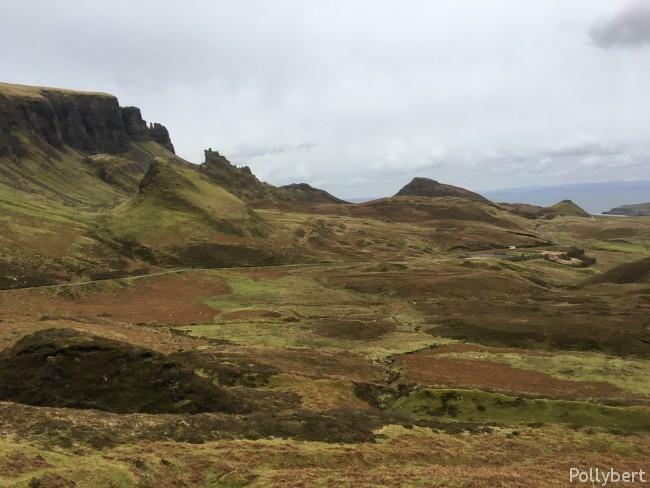 Give yourself at least a day for the Trotternish Peninsula. Better more if you have the time. This small area is full of stuff to see which you don’t want to miss. Because most of it has to be walked to. 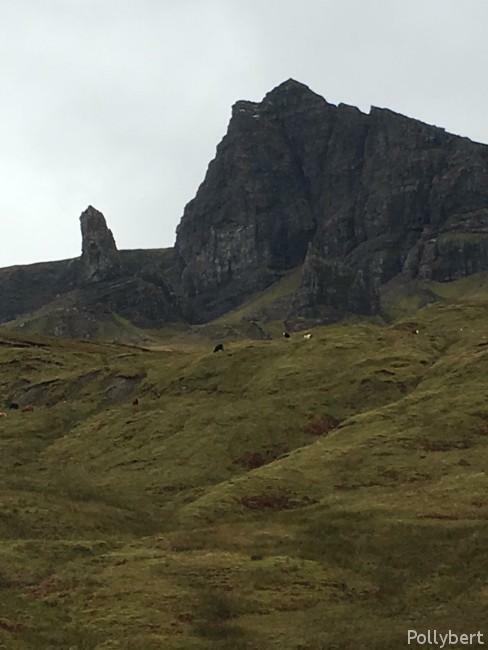 Like the old Man of Storr. So I am really sorry to say that I only saw it from below. There was just not enough time to walk which takes about a good hour to complete. 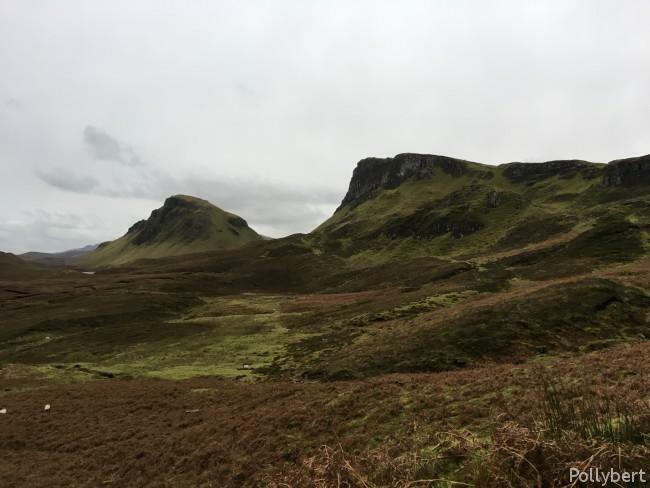 Also everybody in the group should have good walking boots, something we didn’t manage. So it is all in the preparations. What we did instead was go see the Brother’s Point (Rubha nam Brathairean). I guess it was at least an hour of walking as well. But there were no other people around while we hiked to the further most point (or almost). Again we had the problem with the walking boots, so that only half of our group went on to explore. 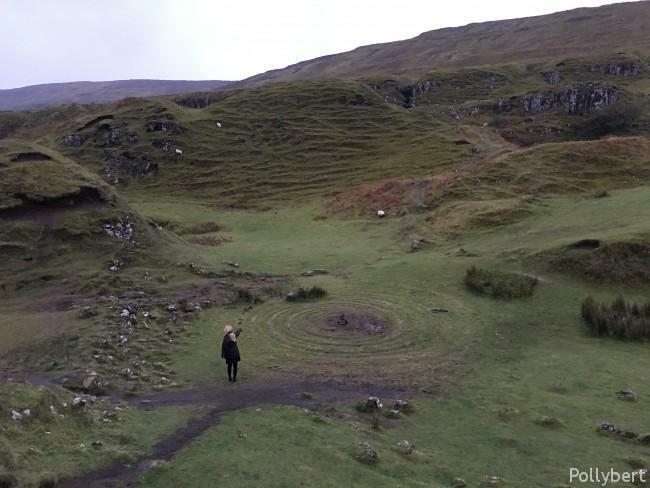 Just make sure you bring the right footwork when you go to Scotland. Also make sure to take your time and watch for seals. We saw a couple of them at Brother’s Point. 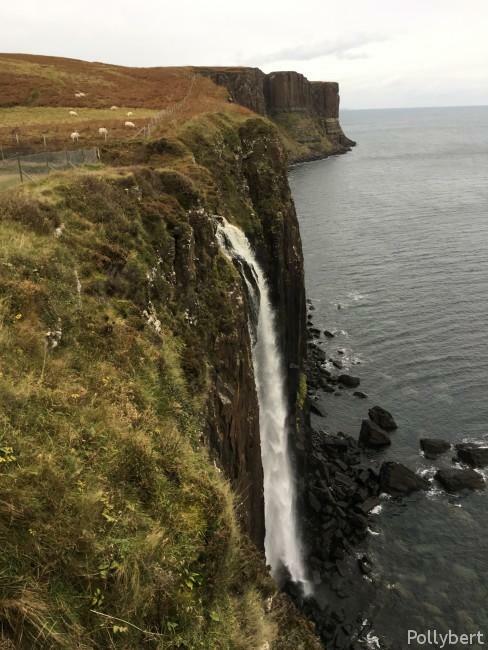 Just a short drive from Brother’s Point you can stop at Mealt Falls and from there you will also have a view on Kilt Rock. The must also be amazing to see from the water. But is something for warmer weather. 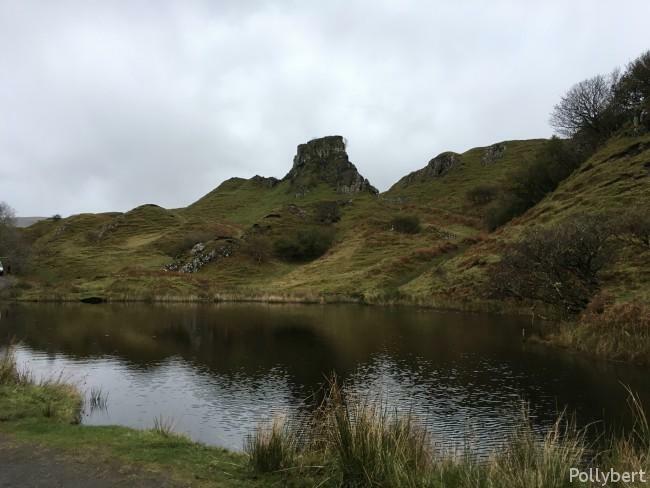 On our way to the Fairy Glen we passed the through the Quiraing. No idea when this landslip happened but it created some wonderful cliffs and plateaus. It is another walk you can do, especially in nice weather. We had neither the weather nor the time. We managed a picture though and then drove on. 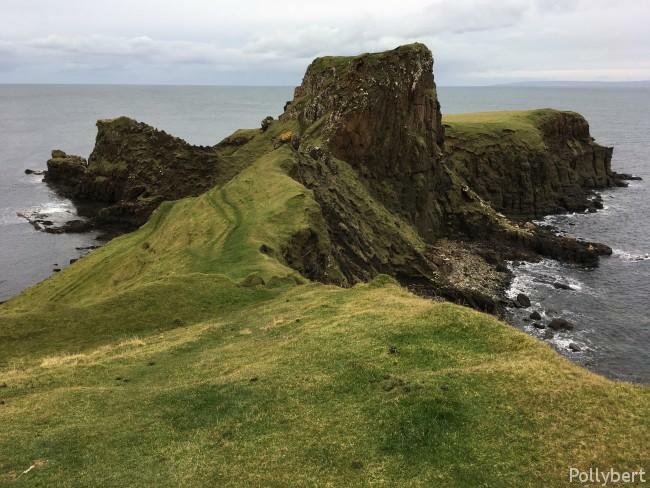 Europe, Isle of Skye, long weekend, nature, sightseeing, Sotland, travel, traveling Europe, traveling with friends, walking, weekend trip. Bookmark.